Yes, I’m an airhead sometimes. There have been times in which our power has gone out and so I tell myself “Oh well. Since the power’s out I might as well watch some television to pass the time until it comes back on.” Yup. True story. And it gets worse from there sometimes. *grimace* I’m clearly guilty of taking power for granted. As such, I’ve had to really focus on the various ways I need to be independent for my environmental control, cooking, lights, and other power needs. The stark reality is, our power and fuel supply is a very volatile system and can crumble to a halt with the slightest bit of provocation. What most people don’t realize is that such an interruption is possible well beyond a few days, or weeks. It’s actually possible that we could lose our luxury of on-demand fuel and power for months and even years. So, what do we need to do now to suitably prepare for such a scenario? I’ve learned to not rely on only one source of fuel for my power needs. 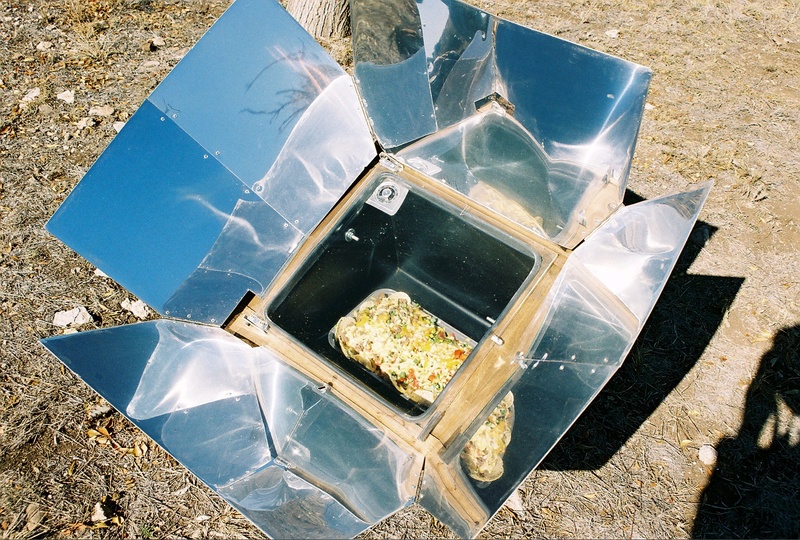 For example, I am prepared to cook with a solar oven, Korean cook stove, Volcano Stove, reflector oven, Dutch Oven, Rocket Stove, propane grill, and an open fire because I recognize that there are a lot of scenarios that can play out which may negate one of the ways I intend to cook. Or I could find myself needing to feed dozens of people and one or two solar ovens on a cloudy day just won’t cut it. I realize that some of you reading this may feel a bit overwhelmed as you consider the dollars that might be involved. But it’s important that you recognize that I didn’t accumulate all of this overnight. I began with the most affordable means of cooking and then added to it all from there. The same strategy applies to lighting and heat. As a person who lives and breathes preparedness, I just can’t fathom putting all of my eggs in one basket in this regard. By the way, as is appropriate, I believe it’s vital that all of the family members become familiar with using the alternative power/fuel tools. Not only do you want to have back up tools but you want to have back-up people who are capable of using those tools. 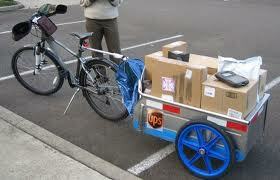 Transportation? So let’s pretend for a moment that there’s been a complete financial collapse and as such the dominoes have fallen and taken out the entire grid system in the U.S. There will be no pumping of fuel, so very little of your traditional automobile traveling, right? Can you still envision a scenario in which alternative travel options might be beneficial? I sure can. I can conceptualize a scenario in which I’d be grateful for something as simple as a wheelbarrow, a Little Red Wagon, a quality bike with a storage basket on it. Heck, even roller blades might be helpful in such a scenario. Remember the PHYSICAL Fuel When planning on providing your family with alternative means for power and fuel, be sure to consider your own physical fuel! The most important fuel is your own physical capability. While it might be a bit easy now in the comfort of our 21st Century living to believe that you can meet your needs with some hard physical labor in the midst of a crisis, it’s a very dangerous thought process. Remember, that if you’re in a crisis scenario your mind and your body will already be taxed significantly. The last thing you want to do is to PLAN to tax your physical strength during such a time. Keep a Low Profile If you don’t already know, I’m NOT a fan of a traditional generator. Not one bit. They are too noisy, too smelly, too dangerous under crude circumstances (which is when they are most likely to be used) and they require yet another fuel source to operate. Granted, there are numerous instances in which a generator might be absolutely necessary. (more on that in a moment.) 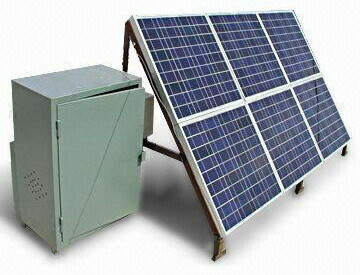 I’m also NOT a fan of the expensive solar generators that you see at all of the Sports Expo’s and hear advertised on popular national talk shows. 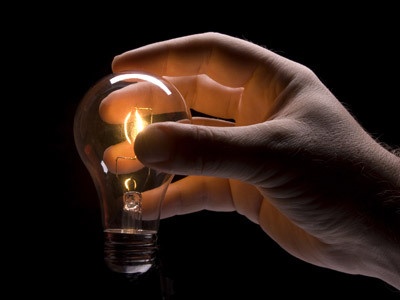 They are too expensive and you get too little power for your money, barely sufficient to run a couple of light bulbs. However, I am a firm believer in several “do-it-yourself” kinds of solar generator options. They are significantly less expensive, and you can get 4-10 times the power that the expensive, over-hyped models deliver. Such options will help with those “must have” scenarios such as refrigerating insulin. And guess what, I’m actually going to provide you with an article AND pictures to show you how to create something like this for yourself (this week). In the meantime, it’s important that you also understand that whatever your heating, lighting, cooking and traveling solutions are, you’ve GOT to make sure they are inconspicuous. The last thing you need to do in a crisis scenario is to draw attention to yourself. Lights and pleasant cooking smells emanating from your home might as well be a big bull’s-eye on your shelter that’s begging for some roaming loon to come and disrupt the safety of your home. So, when it comes to Fuel Preparedness, you’ve got to include solutions for how you’re going to maintain your privacy and safety. If you’re going to have the luxury of lights at night, then be sure you have your windows fully covered so as not to leak any light. If you’re going to cook something other than PB&Js on saltine crackers then you’ll want to be sure that you do so within the confines of a SAFE and SECURE dwelling. That can be managed either through the integrity of your structure, or through a trusted community watch program sufficient for your circumstances. Ultimately, when it comes to using your alternative fuel resources, you’ve got to consider your security as well. Obviously, you’ve got to plan on security measures that you’re comfortable with. And by the way, if you’re not comfortable and prepared to employ security measures on behalf of you and your family’s comfort and safety, then you better get on the stick and get there soon. In a world in which the social norms and standards have been compromised, the natural consequences will be a disruption to order and decorum. It’s simply unrealistic to expect to have one end of the stick without the other. Recap: Practice with your alternative fuel options. Have back-ups for your back-ups. Consider alternative transportation needs. PLAN now to conserve your own physical energy. And above all, keep a low profile. ‘Til next time—here’s to peace in your preparedness. Very good information! 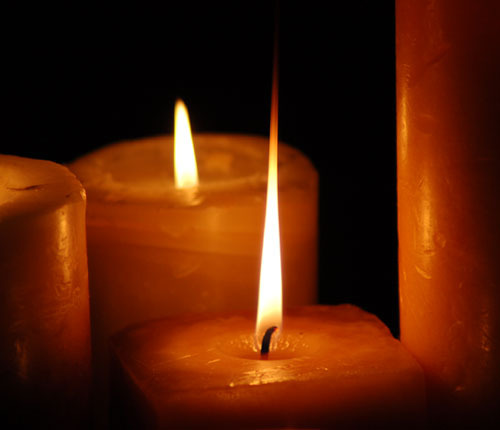 We've had plenty of power outages in the past in the winter months so we are well acquainted with living in the dark. It's not very comfortable! Last year we went over a week without power! That was a real eye opener. There are so many things we take for granted! Thanks again for making us think! I'm interested to know what sources of lighting you tried that were not sufficient to light your house. 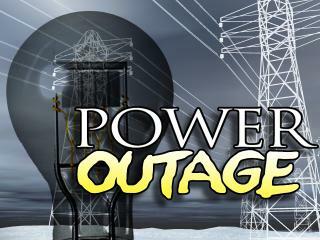 With the bad storms that swept across last week, the power went out in the middle of the night. I did NOT sleep well because the air wasn't moving and it was HOT. and I'm pregnant. The last time I was pregnant, our air conditioner went out at the beginning of a hot Texas summer. It was miserable. It seems like it's easy to think of ways to stay warm--store blankets, wood, etc.--but something that people don't seem to think about is how to stay cool. In fact, I've seen tons of articles on winter preparedness, but none on summer preparedness. So, a generator is one solution, but I'm not sure I want a loud, noisy, eating-up-fuel attention-grabber just to keep me cool. A solar-powered or wind-powered solution would be better. But if the A/C or anything else breaks down and you don't can't fix it for whatever reason, how would you stay cool? Great topic! Where we live the power seems to go off every time there's a heavy snowfall so I spent quite a bit of time on this area of prepping. I decided on Kerosene as my primary backup fuel. I use 2 BryteLyt Petromax pressurized lanterns for light. The small ones give about 100 watts of light and the large ones give 400 watts and can be used to cook as well (see http://store.britelyt.com). I also purchased an Alpaca kerosene stove for cooking. Finally, a kerosene heater is on the list for next Fall. I also got 2 battery powered CO detectors for protection although we never leave any of these on while sleeping (does anyone know of a solar powered 9-volt battery charger?). The kerosene is stored in a shed with Pri-D fuel extender to stabilize it. I’m looking forward to the solar power article! On a good sunny day you could get 50mA out of it @9v. It's not pictured but it does come with a 9v battery clip and the instructions say how to use it. It also charges 2xAA natively. Locate a store named Batteries Plus. If it has to do with batteries, they either have it or can get it. I am looking forward to the solar power article as well. I am also curious how I would keep cool in a hot Arizona summer with no electricity. Like you Jennifer I have seen multiple articles on how to stay warm but none on how to stay cool! I was thinking about a solar solution where the sun could generate enough electricity to take care of my concerns. I see on some of the sites I have explored where you can sell your excess electricity back to the electric company. Is that just hype and I am being naive? Hmmmmm. Yes, you can sell your excess electricity back to the power company. In fact, since it's "green energy" the power company is required to purchase your excess power before any other. Whether or not you get excess will be determined by the size of your home and your own electricity use as well as the size of your system. Awesome!! Now starts the research! Could take a while considering I know almost nothing about solar panels but I think it is going to be worth the time. It is the only thing I can think of that would still provide electricity to run the AC if all electric went down for some reason. Thanks! Love Batteries Plus!! They have everything battery and I have bought all my rechargeable batteries from them. It is nice to go into a store and have people working there that know the product! I cannot stand the heat. We were a week without electric after a storm and the weather was hot. I bought battery operated fans and laid on my bed. I also used cold packs that you buy to put on injuries. We bought ice and put wash clothes in the ice to cool off. I buy tons of batteries for my fans and for radio's etc. Augason farms is one of the advertisers here. I have asked them several times if their dried eggs and milk contain flouride, so far they have not returned my inquiry. Anyone want to comment on that? Advertisers? Gee, I must have missed the checks that folks have written me to be able to advertise on my page--oh, that would be because we don't have any advertisers. If you've got a gripe with them, may I suggest you take it up with them instead of "peeing freely" on this page--especially when it involves you making false statements? Thank you. Good grief. I might as well start having advertisers for as much good as it does to not have them.